Read with your child for 20 minutes every night. That’s been the mantra of my kids’ teachers since my oldest (who is now a junior at Ballard High School) was in kindergarten. I never really thought much of it because I began reading to my children when they were babies, so doing this was not a huge deal. Although, I admit, I sometimes felt that a teacher REQUIRING this on top of nightly homework was a bit much to ask. I joined Metro United Way's staff in September of 2012 and like a lot of folks in our community, thought I understood this organization. Metro United Way is a new, more focused organization that realizes we must work together to create change . . . with focus areas in education, financial stability and healthy lives. Lofty goals like all kids will be ready for kindergarten and all youth will graduate high school on time are something we all can get behind, right? But what really got my attention while learning more about Metro United Way? 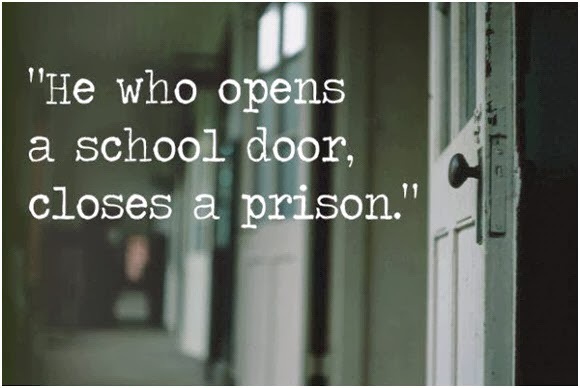 It has been rumored that some states in our country predict the number of PRISON CELLS to build based on the number of THIRD GRADERS who can’t read at grade level. SHOCKING! We know that kids who aren't reading by third grade are FOUR TIMES more likely to drop out of high school and 75% of prison inmates do not have a high school diploma. 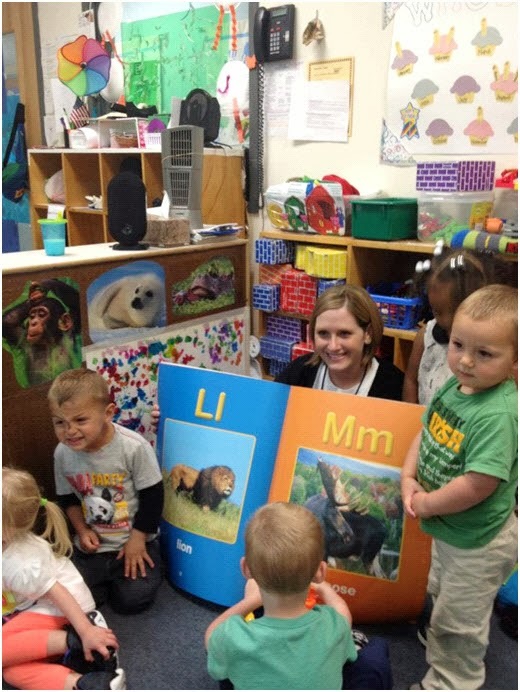 Reading on grade level is so important to a child’s academic success. 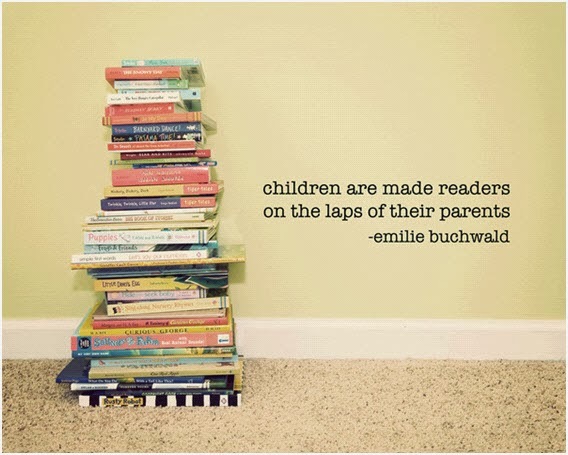 Emilie Buchwald, founder of Milkweed Editions publishing, has said, "Children are made readers on the laps of their parents." Not only are children made READERS on the laps of their parents (or grandparents, caregivers, volunteers) but also high school GRADUATES. Not reading on grade level = less likely to graduate = more likely to end up in prison. So now when I see that “read with your child for 20 minutes every night” homework, I know the greater purpose behind it. AND, I realize how critically important third grade is to every child. Whether you have kids in school, they are grown, still in diapers, or no kids at all . . . making sure all our kids succeed should be important to all of us because when our kids succeed, we all win and our community is that much better. There is something we can all do to help: Volunteer to read, tutor or mentor a child here. Melody Murphy joined the Metro United Way marketing staff in 2012 as Online Engagement Manager where she manages all social media platforms including strategy development, content curation, engagement, influence, measurements and trainings. 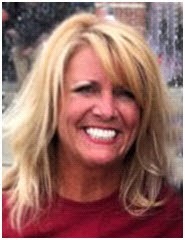 Melody is a graduate of the University of Louisville School of Business and loves the letter “L” for several reasons: the Louisville community and the Louisville Cardinals, her husband Logan, and her favorite slogan: Live, Laugh, Love. She has three kids: Nate – 16, Lily – 15, Eva – 9 and two stepdaughters – Raven – 10, Baylee – 6. This is splendid advice! I do my best to make time to read my little Will every single night. I think this is what matters. Thanx for sharing.